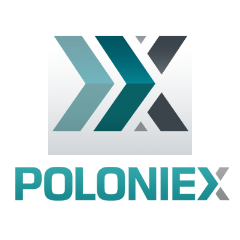 Leading cryptocurrency altcoin exchange Poloniex has communicated their plans for managing any resulting Bitcoin network disruption from the number of proposals for technical changes to Bitcoin that may take effect in the coming weeks. Firstly, the company says they have no position on the desirability of any particular proposal nor do they have a stake in any outcome. Poloniex remains focused on their primary concern, which is protecting its users and their tokens. (1) any decision the company makes will be with the security of users’ tokens in mind. Poloniex will be disabling deposits and withdrawals of bitcoin (and all BTC related tokens) any time the company judges necessary to ensure that all tokens stored on Poloniex remain safe. The length of any possible downtime is unknown as this is highly dependent on network stability. The company objective will be to bring the wallet back online and enable deposits and withdrawals as soon as they believe it is safe to do so. Trading will be unaffected during these periods. At this time, Poloniex says they cannot commit to supporting any specific blockchain that may emerge if there is a blockchain split. Even if two viable blockchains emerge, Poloniex says they may or may not support both and will make such a decision only after they are satisfied that the company can safely support either blockchain in an enterprise environment. The team stated that if they decide to support and make available derivative blockchain tokens after a blockchain split, it should be noted that if a user has tokens on loan at the time of a split, the company will not be able to distribute the derivative tokens to the user, the lender, as they would not possess them. Such loaned tokens can, and often do leave the platform. (2) If a user does not want to leave the decision of which bitcoin tokens to support (or recognize as valid) to a 3rd party, users should not keep their tokens on any 3rd party platform.